Snowfall in South America | Watts Up With That? Snowfall, like the present snowfall in South America, can be considered to be weather rather than to be climate. However there is a danger to this approach. Heavy snowfall can disrupt normal daily life and cause lots of victims. Unusual and heavy snowfall are certainly items of the news. But the Main Stream Media (MSM) are warm bias, they report almost every heat wave, and pay little or no attention to what many call “cold snaps”. In this way people reading the big newspapers and watching the television news get a distorted view of the world. They are inclined to believe that global warming is happening because this message is repeated over and over again in the MSM. All news items about heat waves are considered to be proof or evidence of global warming. By not reporting (or underreporting) about “cold snaps” the public is being brainwashed into believing that the world is warming, while it in reality is cooling. At the moment it is very cold in many places in South America. Sure, the heaviest snow in 30 years has fallen in the Atacama desert and some media have paid attention to that. WUWT has of course has reported about it. But I am afraid that was not enough. Heavy snow in the Chilean Atacama desert seems like a piece of “weird news”, if you keep silent about all that is happening now in South America. The big problem is that you hardly find any news Google-searching with the keyword snow. If you use the words nieve (Spanish) or neve (Portuguese) instead, you will find lots of articles about what is not just a normal winter in South America. We need climate realists who speak the Spanish language (and a bit of Portuguese) more than ever to inform the world about the present snow disruption of life in South America. Peru has declared the national emergency status because of heavy snowfall. Did you know that? Is that not news? 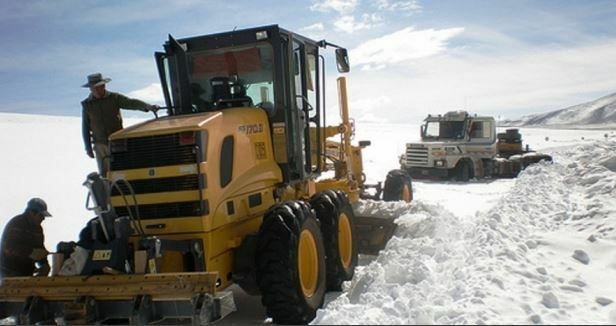 Thousands of lives are in danger because of heavy snowfall in Bolivia. I think that is news. I will give some links to recent news items in Spanish and Portuguese language to illustrate what I mean. Without a doubt the MSM is warm-biased. It’s easier for them. Set up a meme…and flog it to death. 2013 and Florida Manatees are still croaking at a high rate due to cold and crimson tide. In just the first three months of this year, 409 manatees died in Florida waters, compared with 115 in the same period last year. The total number of deaths last year in Florida was 392. It snowed recently on the island of Sumatra which is on the equator. This is the first time in recorded history that it has ever snowed there! Photos of the event were shown on Indonesia TV. I first heard about the chilly situation there from Joe Bastardi. He’s been keeping an eye on South American weather. The only “snow” in Peru which the MSM appears to have mentioned recently is that which two European women were allegedly caught smuggling. Possibly of most interest is that many of these are tropical countries. Any similar reports from Southern Africa or Indonesia? But but,..some AGWer is sure to claim the cold is caused by climate change..
We have a new kind of global warming. This warming causes chills, more snow and leaves those who cannot afford heating costs frozen to death. South Africa is still getting low temperatures. It is spring for them. Last night CCTV showed many townships in the Cape area are badly flooded. In Japan we have been suffering from a big heat wave: now (15:43 pm) in Tokyo the temperature is 36-37 degC = 100 degF. I don’t speak Espanol well — un poco, solamente. … Director Sebastian Medina tells everyone to drive with caution … . At 25 seconds, I THINK the announcer is saying that this snow is exceptional; the most in the last 45 years?? This is a rather old trope, wouldn’t you say? That extremes of weather somehow invalidate one or the other hypothesis? Tell me again how this somehow renders invalid the fact Australia has literally been burning up the last few summers? Your presentation is highly disingenuous; you know as well as many of us looking at climate that global warming/global climate change isn’t about palm trees in Boston. It’s about extremes of weather, and disruptions of climate over short time spans not previously seen. Let’s consider your poster child here – Peru. Heavy snowfall in a nation that cuddles up to the equator. Tell me, is it falling in the Peruvian Amazon lowlands? Ah, just so, I thought not. So, the issue is, not cold, but precipitation, and an unusual quantity of moisture being dumped at higher altitudes in the Andes. Fancy this thought… additional moisture requires more energy. Where might that come from? Rather improbable other than on mountaintops in Sumatra, Indonesia. *IF* *THEN*. My search for news about snow in Indonesia came up surprisingly short. Provide evidence of this “fact,” please. The many Australians who comment on WUWT have testified that this “fact” is largely propaganda. The above article’s main point is that the main stream media is biased to report only exceptionally warm weather events, not cold ones. Your comment appears to confirm the author’s conclusion. Thanks for your demonstrative evidence (not that we needed any). Very early snow forcasted for Iceland the coming days. Southerly wind 3 to 10 m/s and rain in the south and west parts and heavy at times, but mainly dry in the east. Increasing northwest and west wind today, 15 to 23 m/s by afternoon in the northwest part and considerable or heavy rain, but snow above 150 to 300 meters above see level. 13 to 20 m/s in the southwest and rain, but sleet in the mountain areas. Mainly lighter wind in the east and rain until afternoon, but less precipitation by afternoon. Becoming colder, temperature 2 to 11 degrees C later today, coldest in the northwest but warmest in the east. So it may well be something other than snow. As there are a large number of UK citizens living in that part of the world perhaps they’ll be good enough to post more information. …..So, the issue is, not cold, but precipitation, and an unusual quantity of moisture being dumped at higher altitudes in the Andes. Fancy this thought… additional moisture requires more energy. Where might that come from? Tell me again how this somehow renders invalid the fact Australia has literally been burning up the last few summers? That’s about 10,000 times greater area than the fires of the last 3 years combine. And note that rain is the main cause of bushfires in Australia. Rule two of climate ‘science ‘ the dependant factor if something is weather or climate is if this event can be used to support ‘the cause ‘ , not its time scale nor it nature . 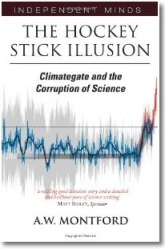 Like much of climate ‘science’ what matters is not the facts, but its ‘usefulness’ in keeping the AGW train on track. It is stated that there are 22 ships caught in the Arctic NW Passage due to early freeze up. Anybody seen this reported by MSM?? Its so burning hot in here Australia that we will never see snow in the Aussie Alps again. Just like they predicted. Regarding early freeze up of the NWP… More disinformation. The melt season is slowing, but still has three weeks, and temperatures haven’t been vaguely close to cold enough for a refreeze. Best explanation is drift ice, broken off of the shattered polar cap. *If* in fact the site you reference is reporting correctly. How rare was the snowfall? It seems there was a similar dump in 2011. Looks like the Atacama may get quite a lot more snow, now that the planet is cooling again and more La Ninas are likely. I know that I’m lazy to ask but some time ago the Guardian had an article about how some regions of South America were becoming depopulated because of the increasing cold. I seem to remember that they referenced mountain villages in ?Bolivia. Can anyone goive an update on this? jdallen says stuff about Australia. Heavens man? I worked up in North West Queensland many decades ago as teenage jackaroo when the area was just recovering from a long drought when station owners had to shoot 100,000’s cattle because there wasn’t enough feed. And you are bitching about a couple warm summers. Get a life or piss off! Sorry, no. AGW was (is?) about “warming” ( that’s what the ‘w’ stands for). Only recently have they switched the language to be about extemes because as we all know, there isn’t any global warming. It’s flat for the past 17 years. And yes, it was about palm trees in Boston. They have predicted the migration of species north as a result of AGW, along with every other prediction. I agree with this article. Every news I watch hypes up any fire, heat wave, or drought and completely ignores news about the cold. Did the MSM point out that this Aug. in Philadelphia was the first time in recorded history the month didn’t see temps above 90 at all? Unusual. Yet if it’s 90 for three days in a row it’s constant wall to wall news coverage about the excessive heat wave killing the helpless. There is definitely a warm bias in the MSM, and that’s what this article is helping point out. Yep – “literally” burning up may be a reference to the inevitable result of increasingly poor rural land management over recent years, leading to massive build-up of fuel load, non-maintenance of firebreaks etc. Needs to read Bill Gammage: “The Biggest Estate on Earth”. subscribe to the “Brisbane Line” eg there is nothing north of it. jdallen presents the clearest example of the response of Warmistas to irrefutable proof of lower global temperatures. It’s not Global Warming anymore, it’s Climate Change, no, no, it’s Climate Disruption, yes, that’s it, it’s Climate Disruption, that’s what ir is! “additional moisture requires more energy. Where might that come from?” Answer: It comes from where all the energy comes. It comes from the sun. They sort of fail to mention that it must have been much warmer when those things were buried in ice. Same with the equatorial glacier retreat in Peru, vegetation being uncovered is “tropical” and thus clearly was much warmer when iced over quickly. The Philippines snow, fall out from a volcano, a internet viral scam, well exposed. The meme being well and truly exposed is that MSM reports each and every heat wave or flood event but not snow or cold events. JD Allan about your NW Passage critique, I suggest you look and think before commenting. The article Imposted shows a map from Environment Canada? Do youmthinkmthey made it up? As for Arctic temps you’re wrong there too. Here’s this summer’s temps above 80 degrees latitude. I know someone who is going to be really pissed off when world temperatures fall! By definition? Whose? Cold snaps in Canada can last weeks. Mind you, when we refer to a cold snap , we’re usually talking about below zero Farhrenheit temps.. Similarly for the US central and northern plains. More discussions about weather by people who don’t understand the difference between it and climate. Your first paragraph is absolutely fair comment. People certainly will get a distorted view. I’m sure many people missed these. ……..reports from landlocked Bolivia indicate that to the east of the country in tropical areas temperatures plummeted to zero causing “millions of dead fish” in rivers that normally flow in an environment of 20 Celsius…. In the past 200 years there were only few days when this miracle happened here. Malta has experienced just four snowfalls since 1895. Rare June snow blankets northwest China. I should have said since 2008. There is a sceptical website that is dedicated to news reports of cold and snow around the world. Well worth a look as it puts alarmists heatwaves into perspective. It’s just the weather and not the climate. Brrrrrr. It’s worse than we thought! …Some towns registered temperature as low as minus 7 degrees Celsius. It was the first time that it snowed in Florianopolis, capital of the Santa Catarina state, where a homeless person died. The city, together with some others, declared a state of emergency. Curitiba, capital of the state of Parana reported snow after 38 years…. Maybe the “usual” weather is “unusual”. The first three years I lived in Michigan I heard a constant refrain that this wasn’t usual weather, so I decided that Kalamazoo only had unusual weather: unusually hot, unusually cold, unusually cool, unusually warm and unusually average. It might be the same for other places. Weather reports in the US for the rest of the planet are going to be spotty at best. It would have to be a big storm to pique reporting interest. Snow in the Ande’s? I’m willing to bet a majority of the folks who watch the news couldn’t tell you what side of the continent Peru is on and would only recognize them as folks who wear blankets and have funny hats. Besides, all of South America is tropical rain forest that we need to save, isn’t it? If the audience is geographically illiterate why should the news carry anything but really extreme events? Besides, I’m willing to bet that the Australian readers couldn’t tell me if the weather in Richmond, VA, has been warmer or cooler than normal this summer and Richmond weather wouldn’t be newsworthy unless we get hit by a big hurricane. Not surprised at all that the media didn’t report snow in Peru. Source please. If you are going to make an extraordinary claim back it up. Sunny South Africa also go some of the whites stuff. This morning!!! Yesterday a man died in South Africa due to the cold snap according to the S. African media. A second man was taken to the hospital in critical condition. The UK and US media have rushed in droves to cover this dire situation. In 2009 the cold weather in Peru killed 250 children. 2009 was a bad year in Peru. Imagine if these same children had died in a heatwave. ….this year’s cold season began in March rather than June. The extreme cold has brought snow, hail, freezing temperatures and strong winds, and has killed more children than recorded annually for the past four years…..
Jdallen, let me remind you of what they said about warmer winters and lack of snow due to global warming. I helped write about half of it up. You can see that the climate scientists quoted did not know what they were talking about. Image two. That grader isn’t going to work in snow. It needs chains. Sea surface temperatures in the Northwest Passage are about -1.0C right now because it is about 50% covered in ice which has stayed solid throughout the summer. Resolute Bay, which is right in the middle of the main Passage channel, has not got above 0.0C as a daily high for nearly two weeks now with -5.0Cs to -7.0Cs as a daily low so it is certainly refreezing now. Way above my technical skills. Year without a summer – (wikipedia)1816, in which severe summer climate abnormalities caused average global temperatures to decrease by 0.4–0.7 °C (0.7–1.3 °F), resulting in major food shortages across the Northern Hemisphere. It is believed that the anomaly was caused by a combination of a historic low in solar activity with a volcanic winter event, the latter caused by a succession of major volcanic eruptions capped by the 1815 eruption of Mount Tambora, in the Dutch East Indies. For the benefit of O/S readers (and perhaps some locals), the “hot angry summer” BS was a fabrication. Central Oz did have a hot fortnight – hot enough for the corrupt BoM to invent new temp scales with new colours which (of course) were never used as no records were set. SYD did have 2 hot days – one which was 0.16C hotter than the 1972 record, well within UHI ranges. Basically, we had a hot angry 12 hour period, in the middle of a wet, mild summer in which (contrary to perception of Sydney) saw just 3 days reach 32C. In between the pair of 40’s, it barely exceeded 25 – about the same temp as we get in late winter! Of course, the warmies were all over today’s beautiful late winter day too. Very impressive and entertaining website. At above 80 degrees it’s the coldest on the DMI record going back to 1958. It never got above freezing (0c) all summer. Why didn’t the media mention that instead of a drifting video cam? CORRECTION to my last comment. What I meant to say was it never went above average. 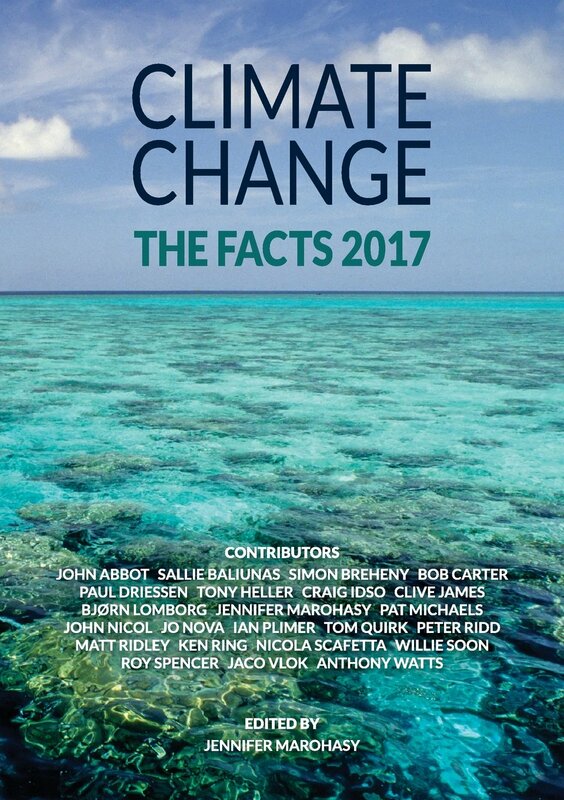 You need to read up on Australian climate and history. Show me the worsening trends (peer reviewed going back 30 years at least). The above post is about the weather and not the climate. Your rant is also about the weather. Show me the un-fabricated evidence. Did I hear the North West Passage from jdallen? It’s blocking up with ice and some people have had to abandon their vessels. Arctic sea ice extent could death spiral at anytime – but for now, at least, it’s looking better than the previous 4 years. Has anyone seen the recent massive die off of alpacas in Peru due to low temperatures? Hey, does that mean my Alpaca-wool pullover won’t work below Zero C? Just for interest, in the 20 years that I’ve been back in New Brunswick, one summer saw no rain for 7 weeks and another summer (much of) it was as if a line had been drawn across the province with the north having lovely summer weather while we in the south looked out our chilly or wet windows at what we were getting. It can be fine weather into November some years, but one year the snow started in October and the ground was never clear until the following spring. And the level of the St. John River (a mile wide here) can vary three feet between a dry and a wet summer. The water level has been the highest that I have seen in the 20 years here. The local warmists prattle on about global warming, rising sea levels, etc., anyway, disregarding the great variation in weather / climate that is put in front of them. The Olde Farmer’s Almanac is predicting a colder-than-usual winter. We’ll see. …. Any similar reports from Southern Africa or Indonesia? Yes, You can go to Ice Age Now for a listing by paging through all the news on cold snaps. Recently , a website that I read posted an article that listed 22 propaganda methods. Here is method 13 of the 22. …..Your presentation is highly disingenuous; you know as well as many of us looking at climate that global warming/global climate change isn’t about palm trees in Boston. It’s about extremes of weather, and disruptions of climate over short time spans not previously seen…. There is a bit of a problem. It is a COLDER earth that has the weather extremes and not a warmer Earth. Since climate scientists insist that the Arctic is warming FASTER than the rest of the earth, there would be a decrease in the thermal gradient that produces bad weather. WIKI??? Home of the Connelly control trolls? HA HA HA Ha ha ROTFLMAO. Wiki is NOT a good source. The cold from South America seems to haved moved to the South Africa. Table Mountain above Cape Town was covered in snow this morning. Regarding early freeze up of the NWP… More disinformation. The melt season is slowing, but still has three weeks, and temperatures haven’t been vaguely close to cold enough for a refreeze….. Thanks for that bit of DISINFORMATION. Your credibility just went to ZERO. The Air temperature has been below freezing for over two weeks This was reported at WUWT at the time. August 8, 2013 According to this DMI temperature plot, the high Arctic has dropped below freezing about two weeks early. You can be certain that humanitarian principles will outweigh political or financial ones, if it’s possible for the Cdn Coast Guard to get an icebreaker or other means into play to rescue the impetuous greenies from the ice. Their yachts and rowboats – maybe not. You use what you have got. I have used the tractor and dirt bucket to clear the driveway and the dually pickup and a chain to the trailer hitch to move a tree out of the road after a hurricane. Has anyone seen the recent massive die off of alpacas in Peru…. >>>>>>>>>>>>>>>>>>>Yes I posted it in the ‘Mind blowing paper’ blames ENSO for Global Warming Hiatus a couple days ago a long with the spring report of UK has had the Coldest Spring in 50 years, according to the Met Office. Ireland – 43,000 carcasses found in snow. Even when the cold causes food shortages these (nasty language selfsnipped) anti-humanists will continue to blame it on CAGW. My only hope is people wake up to the disinformation deliberate lies before more people die needlessly. The winter of 1997-1998 was one of the worst winters in recent history across much of the Tibetan nomadic pastoral area of Western China… by late Octobergrass on the rangeland that had been reserved for winter livestock grazing was buried under a meter of snow… yaks, sheep, goats and horses unable to reach any forage… started to die in large numbers. By early April 1998 it was estimated …had lost over 3 million head of livestock…. Lets hope you will not be found wrong by snowfalls in the Amazon jungle, the Peruvian Amazon lowlands. It takes an ice age! about unusual cold conditions, but hype stories about heat to the skies? was making. And that’s the only point. Warm, cold, it’s just weather. Cool and wet spring summer in the US. 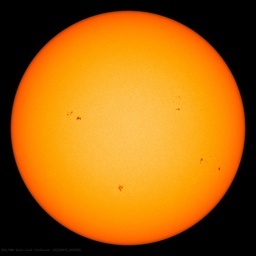 … Lowest and quietest Sunspot maximum in decades. Just another coincidence until proven otherwise. It’s funny that Jdallen complains about things being disingenuous and misinformation, when absolutely everything he has posted in this thread is disingenuous and misinformation. Everything he said can be easily debunked, whereas the story posted here is completely factual. Anthony I think it is time for you to start using the phrase “Media Party” coined by Ezra Levant of Sun News instead of Mainstream Media since they are far from being “Mainstream” and they operate not as the 5th Estate anymore but just another political party pushing their agenda. The speaker’s accent is Castilian, not Peruvian. He says 35-40 years. Arequipa is in the south, near Chile. This is a rather old trope, wouldn’t you say? That extremes of weather somehow invalidate one or the other hypothesis? Agreed, but alarmist erroneously use every heat wave as “proof” and it was Dr Trenberth whose published climate framework argued rising CO2 would cause less snow, and several papers similarly argued less snow was an indicator of global warming. The stories posted here simply indicate that the models of Trenberth and his ilk are bunk. Where it snows normally it is indeed a function of moisture transport and that is a function of the Atmospheric rivers that are affected by ocean oscillations like EL NIno. The most absurd argument is to use the global average to suggest their is more water vapor. Most snow falls between 30 and 34 F, and average temperature doesn’t matter. The maximum amount of water vapor at 34 degrees never changes. Besides with the switch to the negative PDO and less El Ninos, water vapor is declining. If you followed some of the other sites, or the satellites, you’d see that the blockage is a result of ice drifting, not refreezing. I have been following the track of DoDo’s delight here with Richard Nicolsons Blog. northwest passage. Not looking good for the people at Cambridge Bay. The Southern Hemisphere winter of 2010 was the coldest since 1885, but the following ones have been almost as bad. Antarctic ice is increasing not because of higher precipitation caused by global warming, but because it has been ssa-freezing cold (everything is backwards in the SH). I can’t help but thinking that if it did snow in Sumatra it would be all over the place. The media cannot ignore such an event. But if I’m wrong show me news outlet evidence and I will be happy to spread the news. :) I suspect the comment is a plant but I don’t know. Let me clarify my last comment. I know it snows in Sumatra’s MOUNTAIN PEAKS. The Sijunjung story is not coming. General information on sea ice formation, from NSIDC. Since the Chukchi Sea rarely exceeds 150 feet in depth, sea ice formation should be more rapid here and in similar shallow areas of the Arctic Ocean, when ambient air temps fall below 28.8F as they have now. While ice may be pushed around and consolidated into thicker pack ice by the prevailing winds, the shallow basins should be the incubators for new sea ice. As of 5:20pm (PDT), using search term in Bing: “Northwest Passage ice blocking yachts August, 2013” (no quotation marks), the answer is “No.” I only looked at the first 70 results, but they were getting increasingly more off the point as I went on, so I bailed. NO MAINSTREAM MEDIA reporting of the ice-locked boats. None. Several good posts on blogs, though. Guess they couldn’t drive by it, so they won’t report it, lol. Thanks for the chance to pray for those people up there! Say, Paul of Nottingham (re: 1:24am), was this the Guardian article you recalled (great memory!)? The few hundred people who live here are hardened to poverty and months of sub-zero temperatures during the long winter. But, for the fourth year running, the cold came early. First their animals and now their children are dying and in such escalating numbers that many fear that life in the village may be rapidly approaching an end. Hi, Milodon Harlani! Thanks for the help with my poor Spanish. I DID hear the “theta” and thought he was a long way from Barcelona…., but my mistake was simply because I have poor comprehension of Espanol period. If you speak Espanol well, how about translating, at least the essential bits, the audio above? Would be much appreciated! Great video find (in English — hurrah! ), Limo Gerry (at 1:53am) — Well, some Asian TV news coverage, at least. No one in the MSM even cares enough about those Peruvians (and other countries’ nationals) to bring it to the attention of Americans who would gladly send aid. They are SICK. Here in New Zealand (southern hemisphere) we just had our warmest winter since records began. Summer pretty darn hot to. Mac the Knife Since the Chukchi Sea rarely exceeds 150 feet in depth, sea ice formation should be more rapid here and in similar shallow areas of the Arctic Ocean, when ambient air temps fall below 28.8F as they have now. While ice may be pushed around and consolidated into thicker pack ice by the prevailing winds, the shallow basins should be the incubators for new sea ice. It is a bit more complicated. Those shallow sea shelves often have warm Atlantic and Pacific waters forced nearer the surface and thus delay heating. Polynya are often associated with these shallow seas and in the Laptev Sea there is enough open water polynya to sustain the Laptev Walrus throughout the winter. Open water polynya are however sea ice factories as the winds blow away newly formed ice and providing room for more ice to form. I have just received my monthly issue of National Geographic with the main story being “Rising Seas”. The essence of their alarmist propaganda is “IF All the ICE Melted”? Well what if it doesn’t but then what if it does? But then by definition we are still in an Ice Age (poles are not ice free). But based on solar cycles and minimums, no warming for almost 2 decades, the biggest fear might be another solar minimum when millions will die due to the colder weather, reduced crop production etc. Coastline changes are the least of our worries over the next few hundred years. BTW: reports have it that Scotland is being elevated by platonic shifts and that the south of England is sinking. More Thames barriers maybe? “Rain and snow continue falling in Arequipa. Rain and snow have persisted in the higher zones of the Arequipa region since July 22 due to the continued cold. Because of the accumulation of eight centimeters of snow in the area, Senamhi Director Sebastian Medina recommends driving with caution. Barcelona is only pronounced with a “th” in Castilian, not in Catalan or Latin American Spanish. Since it’s a Catalan city, I use the sibilant. Same goes for Ibiza. While studying in England, I traveled with an American girl to Barcelona. She showed off her excellent Spanish by lisping with the best of them. I asked a worker at the zoo please to say the name of his city, which he did, as I hoped he would, in Catalan. She said that’s not how they said it in “The Bobo”, the worst of all Peter Sellers &/or Britt Ekland movies, which is saying something. I think you’ll find that Scotland is rising & southern England sinking not because of “platonic” shifts, but post-glacial rebound. Northern Britain was weighed down by ice for about 100,000 years, so has been rebounding for the past several thousand years from having been depressed by this now melted mass. IMO Scotland & England don’t have a Platonic relationship, but take turns screwing each other over. I think you meant plate tectonics, but plates aren’t why the north of the island is rising & south falling. But I like platonic. You may be interested to read this thread: http://wattsupwiththat.com/2013/08/20/national-geographics-junk-science-how-long-will-it-take-for-sea-level-rise-to-reach-midway-up-the-statue-of-liberty/. Perhaps, you will join the many WUWT commenters who are now former Nat. Geo. subscribers (many gave up on that pro-CAGW, Fantasy Science, periodical years ago). I hope that you can find some good things to read wherever you are! Thank you, Milodon Harlani, for translating. It was kind of you to bother to answer my request. How wonderful for you that you know two (at least) languages. @ Newsel, don’t feel too bad about the little mistake of “platonics” (chuckle), others have made worse. For instance, “plate teutonics.” See, e.g., http://www.cram.com/cards/theory-of-plate-teutonics-3018958. BTW: nice to meet someone with a sense of humour…..
You’re welcome. I live in Chile half the year. At my age I can’t speak & understand adequately more than two languages, which Gracias a Dios are all I need these days. When I try to speak German, Russian, French or Dari, which I’ve needed at various prior times in my life, Spanish comes out. Or I start haltingly in one of the others & end up in Spanish, my first & still most useful foreign tongue. Reading knowledge is another matter. Knowing Latin & at least one modern Western Romance language makes reading any of the others pretty easy. English is helpful, too, since its vocabulary is about 40% Latinate (French, Latin & other Romance languages), despite being genetically a Germanic tongue. Could never read or write Dari in its native script, except as Tajik, written in Russian Cyrillic, or transliterated into the Roman alphabet. Nor do I regret a year of college Homeric Greek. The ability to sing the Iliad to the tune of “For a Duck May Be Somebody’s Mother” (dactylic hexameter) has come in if not handy, then useful or entertaining over the years. Re Plate Teutonics, Wegener was after all a Teuton. A pleasure to meet you, too, Newsel. Have a lovely weekend. Milodon, what a joy to read of your rich store of education and life experiences. Thank you, so much, for sharing. Australia certainly gets good coverage of anything to do with ‘heat’. Apparently Brisbane, and other Australian cities, may have had their ‘warmest’ winters ‘on record’ which you can read about in MSM reports (if you can be bothered) by searching on “Brisbane warmest winter on record”. OMG it’s worse than we thought! Quite a bit of snow on top of Table Mountain as well. This essay shows us serveral non-neglectable facts:, an interesting article with new information, the media is selective and one-sided, global warning is not a ghost and our solution should not be a ghost as well. Last night, on the local Fox News broadcast on TV, they covered the South-American snows. New Zealand & Australia have indeed been warmer than usual this winter. South Africa started out cold, but I haven’t checked to see how the winter has progressed. South America has suffered cold & warm spells, but generally has been snowier than usual, as noted in this post. The trend for the SH however appears colder, following the terrible winter of 2010, if not starting previously. I know 2012 was bad, also, requiring cancellation of at least one Antarctic scientific expedition, & changes in Cape Horn cruises. If the Antipodes escapes this trend, good on you, mate! Thanks for your concern. The Drought last summer certainly was for our farmers. My experience in the mountains of Argentina and Chile is that the temperature can change rapidly and significantly and is usually associated with a high wind. A sudden warming is no problem but a sudden cooling can be serious. There are many fatal examples:en.wikipedia.org/wiki/Tragedy_of_Antuco. The MSM has perpetrated the same strategy against Congress. For close to two years any mention of Congress came with a negative slant inserted in the message. Then, in the last year, the MSM has gone extreme in their portrayal of Congress. There is a huge flow such that the most extreme voices want to see Congress ‘changed’, completely neutered might be a better word. Article after article repeats phrases such as ‘do-nothing Congress’, ‘blame Congress’, ‘blame climate change on Congress’, ‘blame our money woes on Congress’, etc etc. All blame, all of our troubles lead to Congress. For everything! The message is certainly effective, but I wonder to what extent. As a former follower of world wheat prices, it has often seemed to me that drought is a semi-permanent feature of Australian climate or WX. I don’t know why Oz & NZ don’t seem to be participating in the general cooling of the SH. Maybe the cold currents off the west coasts of both southern Africa & South America have something to do with it. And the Andes surely affect the Amazon & Patagonia. Nice job finding all the snow stories. Those are handy links to have. They will be useful for dropping into certain conversations at the appropriate moment. Thank you. I’m pleased to know you found them helpful. It is always a major bummer to take all that time to find videos and have no one say anything. Say, I sure hope you come back and read my reply, here. I have wanted to tell you I was concerned about you for those several weeks you weren’t posting. I hoped (and prayed, too) all was well. I pray all is as you wish it to be in your living situation. Glad to see you posting regularly again. I see that they no longer allow comments. Ahh, the BBC bastion of truth. A group of the sailboats are underway for Cape Bathurst. The weather is favorable for the moment. Even the one rowboat on the west side of the Cape is now making a run for the Cape in the hopes of making it to Cambridge Bay. Charles Hedrich has already rowed 845 miles. He is now underway. There is a US Coast Guard ice breaker, the Healy , which is positioned close to Cape Bathurst. That is good news, Gold Minor. Thank you for telling us. causing great problems (causa graves problemas) for miners all over South America. Even for people living in Canada, very heavy snowfall (intensas nevadas) reaching more than one meter high, is considered to be a big problem. But have the MSM payed any attention to it? No, we wouldn’t know about it if we did not look for a local Bolivian news agency in Spanish language. The cold in South America continues. From tomorrow (a partir de mañana) temperatures in Peru are expected to drop till minus 20 degrees Celsius (registrará un descenso de la temperatura, hasta los 20 grados Celsius bajo cero). Me neither, I always was under the impression the Amazon started in the (High) Andes and flowed East to the South Atlantic through Brazil rather then down to the Peruvian “low lands” on the Pacific but since I do not have “google earth” I could be wrong here, can somebody help me out? I am very grateful to Anthony Watts for the opportunity to have my guest essay on his website. Also I would like to mention Robert Felix, who has reported again and again about the present bitterly cold winter in South America. Because reporters of some of the MSM that are not on the CAGW bandwagon read websites like WUWT and IceAgeNow, they started reporting about this subject. And finally the BBC started to have stories about it, because the other news agencies had the story and they could not stay behind. Here is a recent video showing the present situation in Puno, Peru: https://www.youtube.com/watch?v=oTLV0XtAWps I hope a lot of people will watch it. Thank you, Argiris Diamantis. I hope many people will watch it, too. It is heartwrenching. …from the headwaters … in southern Peru— … Its westernmost source is high in the Andes Mountains, within 100 miles (160 km) of the Pacific Ocean, and its mouth is in the Atlantic Ocean, on the northeastern coast of Brazil. You are very welcome. LOL, if I don’t look over a world atlas every so often (I SHOULD do it every year! ), it is AMAZING where my mind puts some countries in relation to each other. I’ve finally stopped picturing Germany as much farther south of where it is (don’t know why, just got that in my head somehow). I had Massachusetts (USA) south of New York for a long time. And those are just two examples. It’s weird, too, for I can easily memorize directions and a basic map and am rarely lost. Well, enjoy those grandkids. They are blessed with a kind (your note’s tone and that you bothered to write to me tells that), intellectually honest, conscientious, grandpa. You are leaving a priceless legacy to the world: those children. Tobias (at 11:12pm). Laugh-out-loud. You can always tell a Dutchman….. I didn’t know it was that bad. We read nothing about this in our newspapers, we see nothing about this on the television. The big media are brainwashing us into believing that the world is getting warmer, but that is not the truth. It is good that there are people like mister Diamantis who draw our attention to this terrible news.